Every aspect of your medical alert system is crucial, from having a functioning base unit to making sure your phone line works. But perhaps the most vital part of the entire system is that medical alert pendant you are wearing around your neck. Let’s face it – the odds of you being in the room with the base unit in the event of an emergency are small. You are more likely to be able to reach your medical alert necklace than the big emergency button on the unit. So if your pendant fails, the entire system fails, and the results can be tragic. That’s why you have to be sure when you choose a medical alert company that the equipment it provides comes from a quality manufacturer. There are a few companies which make their own medical alert pendants and base units, but otherwise they buy their equipment from another source. It is easy and cheap to buy electronics from countries where perhaps their standards are lower than the United States and other trusted nations. Sometimes the tradeoff is worth it – lower prices for less quality. But with medical alert necklaces, you would be wise to pay a little extra in order to get a reliable product. The choice can literally mean the difference between life and death. Even if you have a high quality pendant, it is still up to you to keep it in working order. You have to make sure that the button is always working. You can do this by testing the necklace at least once a month. Some medical alert systems test automatically or give you a reminder that a test is overdue. You also have to make sure that you change the batteries at the prescribed times. Sometimes it seems like you are throwing away perfectly good, working batteries. But when the manufacturer says it is time to change the batteries, you should change them. It is a small price to pay for the peace of mind that your medical alert pendant will work when you truly need it. 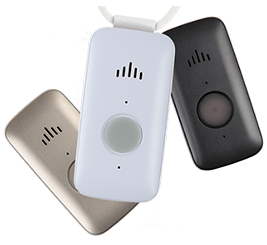 As important as medical alert pendants are, it is ironic that many seniors refuse to get a medical alert system because of them. Many people are self-conscious about wearing an alert device. Perhaps they feel it makes them look weak and vulnerable to others. Vanity should not deter you from getting a potentially life-saving system. And there are ways around it. First of all, you could wear medical alert pendants under your shirt so no one would ever see them. There are companies that make necklaces that look like pieces of jewelry, so you could wear them outside your shirt if you’d like and no one would ever know. If you don’t like wearing a necklace or a pendant, you could opt for a bracelet. Again, some companies make medical alert bracelets that look like slick pieces of jewelry, so its true function would be known only to you. Whatever you decide, just make sure your medical alert necklace is of the highest quality and is always in working order. Your life could depend on it.